all sharing the same database and communicating with each other. HL7Kit 2018 provides dynamic mapping rules and message structure definitions while keeping compliance and adhering to the standards. The kit injects simplicity and flexibility into Healthcare IT and EMR Integration by enabling non-programmers to set-up and maintain the PACS and the RIS complex workflow procedures in multi-vendor environment. HL7Kit 2018 now comes out of the box pre-configured for SQLite. This allows you to experience the kit with zero configuration. Additionally it enables you to use the kit on small medical devices that doesn’t require a full scale database engine. For full scale deployment we recommend MS-SQL Server. The kit fully supports MySQL as well. 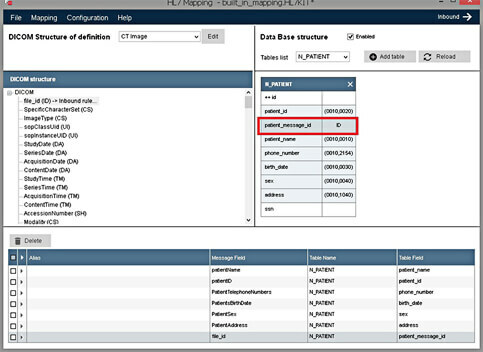 HL7Kit Mapper uses drag and drop to design your interfaces. You can design your interfaces simply by dragging and dropping from the message structure. When designing outbound messages you can see the generated HL7 messages while editing the rules using the interactive preview. HL7Kit 2018 comes with a powerful full featured PACS Server that includes Storage, Query/Retrieve and Worklist Management. 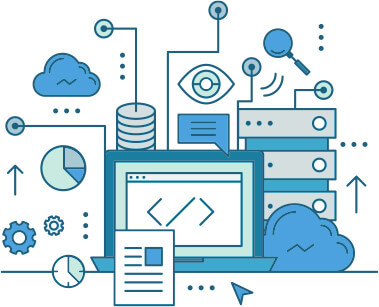 But beyond standard DICOM functionality, the kit brings a powerful DICOM Mapping Tool that allows you to extend the functionality of the DICOM server and easily extract data from DICOM files into your custom database schemas.